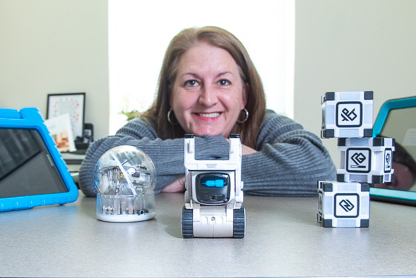 A diminutive robot named “Cozmo” is one of Amelia Moody’s favorite teaching tools when she works with children with Autism Spectrum Disorders. Cozmo has a childlike personality and the ability to express a range of human emotions. NEW: Create a Holiday Card for a "Hurricane Hero"
Submit items for the next SWOOP by noon Friday. The last SWOOP of 2018 will be distributed Dec. 18.